We aren’t going to see a break anytime soon from this horrible winter weather! 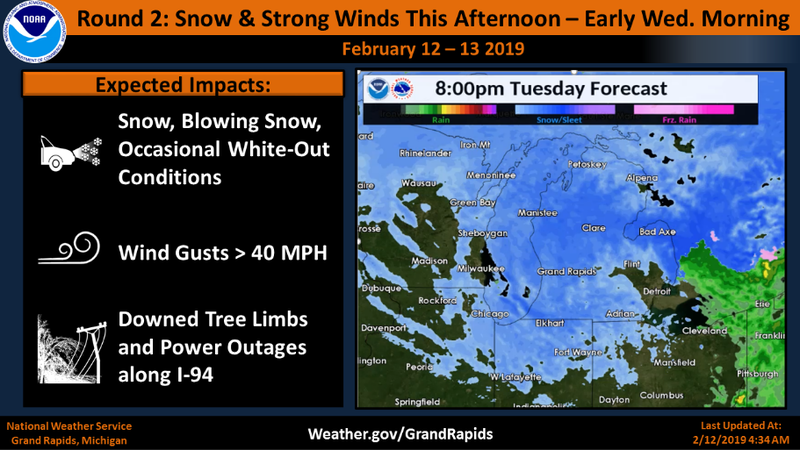 Another round of snow, blowing snow, and strong winds is expected tonight. 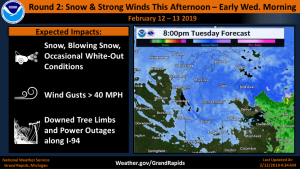 Downed tree limbs and sporadic power outages are possible especially where accumulating ice fell this morning.